Very responsive and helpful! They answered all my questions, performed the work efficiently, and cleaned up all evidence of tree removal. I’ll definitely call again for any future projects. John and his crew are very efficient and hard workers. They removed two large Pine trees. I highly recommend John and his company for any tree service. John and is crew are awesome and professional. We had a 85 foot 100+ year old silver maple in our backyard that was dying and needed to be removed, plus other trees that needed pruning. John came to assess the trees on the same day that we called him and was able to give a reasonable quote. They were able to remove the tree, grind the stump and grade the land as if the tree was never even there, plus prune the other trees in the backyard all in 1 day! They were efficient, polite, friendly and did clean work. John and his guys were amazing. They did an amazing job and they were very honest about everything. My neighbor and I had tress and bushes cut down and they were very neat with everything. I highly recommend them to do any work. This guy is exceptional. I’ll never use anyone ever again. I’m super impressed to say the least. He completely exceeded my expectations. John and his crew did a great job on my property. ZTree trimmed shrubs, grinded stumps and removed trees for me. The clean up and look of my house afterwards was a total transformation. I highly recommend this tree service. John was great to work with. Very quick with response and the team were very thorough. Would definitely use him again. This is the second time I've used John and his Z Tree Experts crew for tree work. They arrive on schedule, are SO respectful of the property and clean-up is impeccable. Prices are very fair. I would highly recommend them. You won't be disappointed! I called Z Tree Experts at @ 2PM this afternoon for an estimate. John told me he would try to come this afternoon to give me an estimate. Unfortunately for John, a contractor who had already given me an estimate that i'd accepted showed up unexpectedly ( it's a long story, but I was fully not expecting this other contractor to show up as he'd broken 3 appointments already and I told him if he couldn't get here today, not to show up at all. He said he'd call me, which he didn't so I was not expecting him to come, and I sent out for other estimates). At any rate the stump was ground out before John got here. I failed to call John to tell that the job was done. Even so, he was very polite and professional about it, and he did what he said he would do by showing up when he said he would (a fully unexpected happening , given my experience of having to get estimates over the past 3 weeks)Given John's equable and professional demeanor, I wouldn't hesitate to call him for future work. John and his team were excellent, friendly, honest, professional and very knowledgeable. Our job was complex with trees ranging from very large to small on a slope. I would hire them again. Excellent. Thanks Z Tree! A++ job! John came to my house at 930 pm when I called him bc a huge tree came down in my driveway. He started work first thing the next morning, and also cleaned up the tree damage at my neighbor's and in the street. Pseg was also there bc we lost power and there was contamination from the transformer oil, and the town of Montclair was also involved. It was so complicated but he and his team handled everything so professionally and efficiently and did a tremendous job under pressure. I recommend him super highly. A tree came down during a wind storm, I called z tree experts and was told they would be at my house in 20 minutes and 20minutes later John was there. He worked on cutting the tree so I would be able to get out. Answered all my questions and was very nice about. I would definitely recommend them and use them again. Good guys, good price, and good work. Worth every penny! John and his team are pleasant and professional. My front and rear yards were transformed! Thank you for keeping your word and doing a great job! I am sending this review on behalf of my parents, the Thiebaud family. They live in Clifton and used Z Tree experts. They were very impressed with the customer service, price, cleanliness and professionalism. They will definitely recommend his services to others. John and the team are true professionals. Their honesty, workmanship, and diligence reflect in their amazing work. I had a highly complex tree removal in a very tight space, and they worked tirelessly to complete the job before rush hour hit my street. They left the property nice and neat. I highly recommend John and the team, they are worth every penny for the peace of mind and professionalism. Hired them to remove multiple trees from my front yard. He came out the next day to give an estimate, which I thought was fair. He also offered to, for free, clear out the gutters and perform other small tasks around the house.He came the following day after giving the quote to remove the trees at the time he said he would, and finished quickly in 2 hours. Filled in the holes and did a great job removing the whole tree and the stump. John from Z Tree Experts was there with his crew and his equipment (a bucket truck, a chipper, and a trailer with a stump grinder and other machinery) when he said he would arrive. He waited until after 8 AM to start the job so as not to disturb my neighbors. (Check if your town has a noise ordinance.) He and his crew were professional and courteous. He asked permission before using a neighbor's driveway to haul out some trimmed branches. John was on site, working with his crew. (After all, he is the one who is certified.) The removal of the ground stumps was included in his quote and wasn't just another add on that other tree services may charge. Finally, John and his crew were meticulous in the post job cleanup. I would definitely recommend Z Tree for your tree- trimming/removal needs. John was amazing. Super efficient, went above and beyond, and the clean up job was unbelievable, all for a very fair price. Would highly recommend him to anyone. John was easy to contact, showed up on time and was very clear about what he would do and how much it cost. When I arrived home from work, his crew had done such a good job cleaning up I had to check the trees to make sure he had been there! Called Z Tree Experts for an estimate and the same day John called me back and came to my house. The next day, John and his crew removed what was left of the tree, stump, another dead tree and trimmed some other tree branches. John and his crew are very professional, reliable, kind and hard working! Great customer service and reasonably priced! They cleaned up nicely as well! Would hire them again and recommend to anyone looking for fast, efficient service! Thanks John! Excellent, efficient service! I was so pleased. John and his crew removed a large, spiky, 25-foot holly tree from my very small back yard. I was amazed at how quickly and efficiently they were able to remove the tree without touching any other tree, bush or flower in the backyard! John and his crew were professional and friendly. They arrived at the scheduled time and the price was very reasonable. They also left the yard in a cleaner state than when they arrived. I highly recommend Z Tree Experts!! f you have a tree issue, CALL THESE FOLKS!!! John and his crew are amazing: extremely efficient, highly professional, amazingly courteous, and totally committed to the job. John himself is like some sort of timberland Superhero. The guy answers the phone, comes early, stays late, supervises all aspects of the job personally, and is a genius at problem solving. He and his crew make your problem their problem, and they don't rest until the problem is solved. Trust me, Z Tree Experts is in a league of its own. We just dealt with what could have been a nightmare situation with a tree falling in our backyard (100 year old tree, no access for the crane, torrential rain, etc. ), but John and his guys vowed to get in there and make things right, and somehow they did. John's as competent as he is nice, which is saying something. Don't waste your time with any other tree service. For price, quality, and commitment, they are in a league of their own! John from Z tree is a total professional and is a pleasure to work with. He is honest and passionate about what he does. He was willing to negotiate his price. He was the first tree guy to come personally for an estimate the day that I called him. John and his guys did the job even though the weather was not at all cooperative. He elevates tree removal to an art form. John. Was the only guy who was up for the challenge of removing a monstrous cherry stump off a 4' wall. I was in a pinch and he was able to make it there the same day. They spread everything out nicely and left the area presentable. I have no complaints with his service. Thanks again John !!! John and his crew do great work and are a pleasure to work with. On July 18th at 6:30pm a very large oak tree branch, with many attached branches, fell on the roof of our 3 family property and John was the only person who picked up the phone the first time reaching out to him. He and Kyle, a member of his team, were literally at the gas station fueling up to head out of town, but they agreed to meet me at the property to evaluate the situation and determine the urgency. The situation was urgent and John and Kyle stayed with us at our property that evening for almost 2 hours until he found a crane operator that would come the following morning at sunrise to work with him to remove the limb. Needless to say he cancelled his plans to go out of town until after the job was done. He, Kyle, Pat and the crane operator were at the house at 5:30/6:00am and worked all morning to safely remove the huge limb and attached branches from off, and out of, the roof. It had to be taken down in pieces and John successfully removed it without creating any further damage to the roof/house. The guys chipped up all the branches and cleaned up the property to where you couldn't tell anything had happened at all. John, Kyle and Pat were great to work with and all have good attitudes and are polite with good work ethics. John is definitely customer service focused, returned my calls and texts (even on weekend while out of tow) very promptly. When I got upset because the roofers didn't get over to put on the tarp after two days of this happening and rain was expected, John told us he would come back with his bucket truck and get on the roof to put a tarp on it. I let him know the roofers were coming so he didn't need to make the trip but he still came by the house to check in on us and make sure it was taken care of. We had a great experience with Z Tree Experts. John and his team arrived on time and worked quickly to remove the fallen tree on our property. They left our property looking neat, cleaning up after they were done. We were very happy with the work they did and would highly recommend them. Great service, we had some dead trees and a lot of overgrown shrubs in our yard. John walked our yard, gave us a reasonable estimate and came when he said he would. His crew made fast work of it, and cleaned up (not a single wood chip to be found!) and we couldn’t be happier. Our son Jon is an urban forester, but he lives on the West coast. Today we found someone as super as he is to work on our trees! John at Z Tree Experts came yesterday to give us an estimate. Today he and his crew arrived promptly and did an excellent job. John does very professional saw work and his friendly, hard-working crew helped him to set up and clean up the work area in a jiffy. We have certainly found our new "Go-to" tree service. An outstanding and very personable team. They even stayed later than planned to take down a hickory branch that broke in a strong wind gust while they were doing the scheduled job. Amazing service! John came out to our home on a Sunday afternoon after my husband and I discovered a large portion of a tree had fallen onto our roof and shed. With thunderstorms in the forecast for most of the week John and his team were there the very next morning to beat the weather. Knowing we had just moved in he gave us a very fair price, much better than other quotes. He saved our garage and made very much appreciated suggestions on how to preserve our favorite tree. John Came propmtly and help me evaulate my tree which had been losing bunches of leaves and acorns in July. He didn;t know precisely what the issue was but went the extra mile and contacted someone who did. The extra effort was truly appreciated. Thanks John! I spent 3 weeks calling around to tree service companies and Z Tree Experts were the ONLY ones who called me back. That might seem like a low bar for choosing a company! But you can't underestimate the importance of good customer service and following up when you say you will, especially when it's so uncommon in the construction and landscaping industries. Within less than a week of initially contacting them, they completed our project. They showed up on time, did the work and then some at a fair price, and were finished quickly. The project included tree & bush removal, clearing out ferns & weeds, and removing a huge pile of branches I'd already cut down. All in all, the entire front & side yards have been transformed and are ready to be replanted the way we want. I'll call them without hesitation for further work on the backyard. I recently called Z Tree Experts and another company to give me estimates for an emergency removal of two trees that had fallen from the adjacent property onto my backyard fence and garage. I then encountered the awkward situation when both companies arrived within minutes of each other to give me their estimates. Not only were Z Tree Experts courteous, professional, knowledgeable, and thorough but they agreed to split the job with the other company, who was quoting me the same price for also doing the job immediately. Z Tree Experts and the other company combined to get the job done in half the time at the same combined price both were quoting me individually. I wholeheartedly recommend Z Tree Experts (and the other company, who is also getting a 5-star review from me) for emergency tree removal needs. Tree branches landed on the roof of my garage. John was quick to respond. He not only removed the fallen branches but also removed some other limbs that were in jeopardy of falling. Great service and reasonably priced. Highly recommend! Very satisfied with his response to my phone calls , and the removal of a very large tree which was partially over a garage.Stump was ground out and entire area was graded very well. Clean up of the area was as before they had started. I recommend John very highly. I contacted Z Tree Experts after reaching out to numerous companies for quotes for a standard tree removal in my backyard. It quickly became obvious that they weren’t called Z Tree “Experts” for no reason. After meeting with John, he offered me a professional opinion to move in a direction with tree removal that I hadn’t even considered, and ideally would save me money in the long run. I initially only planned on removing one tree but John educated me about the health of a 2nd tree in my yard that would have to be removed in the near future. Ideally – he could have removed one tree and came back (because I would have hired him again) and it would have cost me nearly double at that time. This to me, shows that Z Tree Experts are looking out for the best interest of their Customers, not just taking advantage to gain a tree removal job. Z Tree Experts pricing was highly competitive. The knowledge and advice that John offered about what to with the trees in my yard, really reassured me that I was choosing the right company. They scheduled the removal and arrived within a timely fashion, removed the trees, were very respectful to the neighborhood while doing so, cleaned the yard up in a way that you wouldn’t even realize trees were removed, and left the premises exactly as found (minus 2 trees.) I wasn’t home at the time the job was completed and John made it a priority to make sure he stopped back within 24 hours go over exactly the job as completed and make sure I was a satisfied Customer, again proving that not only does he offer a great tree removal service, he offers great Customer Service as well. Z Tree Experts has exceed my expectations and have my 5-star recommendation to anyone considering hiring them! John & his crew are excellent. I called them for tree debris removal and I received a quote the same day, and the debris was gone the following day at a reasonable price. They cleaned up the entire yard and didn’t even leave behind any leaves. I highly recommend them. I highly recommend Z Tree Experts. They are 100% professional, friendly, and honest. It was a pleasure working with them. They are very efficient, safe, and well equipped to handle all of the services that are asked of them. They seamlessly got the job done and cleaned up the yard beautifully afterward. I would absolutely use them again. Fantastic work on an extremely difficult job. Very professional. Performed above and beyond what I had expected. Unfortunately the snow in March severely damaged the largest tree on our property. Reviews do matter as we've never used Z but picked them based on Google reviews. We couldn't have been happier! The yard is difficult to get to so they actually went over the house, removed the tree and grounded down the stump. We were not at home but when returned it's as if the tree...and they...were never there. I hear my neighbors were so impressed they offered them Florida oranges upon their return from Florida. I cannot recommend them enough! John and his crew are professional, knowledgable and personable. John saved the day when I called on very short notice... and it was service with a smile! I highly recommend Z Tree! Z Tree Experts trimmed damaged trees and removed a fallen tree from our backyard after a bad storm. They did a great job. They worked neatly and efficiently and I would definitely recommend them. I was amazed with the job that was done in my property. They go above and beyond to get the satisfaction I deserve.They were on time, they were friendly, they work fast and they certainly did not over charge. Once done with the job, they make sure they clean the area and did not leave any garbage around. I recommend anybody who needs an expert to work in their properties to give Z Tree Experts a call. They are really satisfaction guaranteed. Excellent service and Extremely Professional.During the past winter season, a tree came down on our house. The Z Tree Experts we’re great from beginning to end. John, came out within an hour of my call and had a crew on-site shortly thereafter. As the tree fell through the house, a crane was required safely remove it. His care and attention to detail allowed for a proper removal and minimized further damage to the property. He also removed a limb from another tree which was at risk of causing additional damage. After the job was complete, John evaluated other trees on my property and surrounding property to provide his professional advice. You can tell he’s very passionate and loves the work he does.Additionally, his professionalism was noted by my neighbor whose properties he needed access and even the insurance agent who said she wished more people would use a professional like Z Tree Experts. John and his crew did an excellent job.The trees were removed to my expectations and did a very good cleanup job of my property before leaving. Great crew who did an amazing job removing all the downed & damaged trees from my property: (10) 40’ evergreens and (40) 15’ arborvitae cut down, destumped and removed in 1 day! They also did an incredible job at backfilling the stump holes and cleaning the remaining debris. They left my yard in better condition that it was before the trees fell down. Exceeded my expectations. John at ZTree is awesome. We had a bit of an emergent issue and, not only did he return my call quickly, he also came over that same day! He is very professional, knowledgeable, patient and friendly. His prices are fair and they did the job the very next day! He is meticulous and thorough and made sure everything was perfect, to our liking and that our needs were met. We were very impressed and will be using John going forward for all of our tree needs. Wonderful experience!! John was quick, responsive and professional when we had a huge branch come down on our car during this last big storm. He came out the next morning and had it all taken care of within 20 minutes. Will definitely be using again. Professional, timely and neat. We hired John to remove a few large trees on our property as well as remove some brush and overgrown plants in our backyard. John was honest about his short and long term recommendations and never pushed for an up-sell. They did an incredible job removing the trees, grinding the stumps and cleaning up after the job was done on each of the 3 days. They placed plywood on our grass to protect the lawn and John even handled some of the permit issues with local township. Would definitely hire again. Great communication and customer service! Highly recommended! Z Tree Experts did an amazing job removing 3 trees from my backyard. They are professionals! I had John and his guys in last week for some trimming and cutting down trees. They were excellent, efficient, cleaned everything up, my yard looked better when they left then before. I would highly recommend them, I will use them again. John and his crew did a phenomenal job cutting down three huge trees in our back yard. They also cleared out a significant portion of the woods in back of our house. Throughout the entire two day process John made a point to check with us to make sure we were happy with the progression of work and to see if there was anything else we would like addressed. We are more than satisfied with the work done, and the price was on point. I had to have two trees removed and a couple others trimmed. The amount of time and care Z Tree Experts took was amazing. From protecting everything on my property to the actual tree removal and clean up, right down to spraying off my outdoor furniture was much more than I expected. They were professional and courteous and kept me informed of everything they were doing. I highly recommend their services and will definitely use them again should I need their services. John and his crew of Z Tree did an excellent job with trimming, pruning, and cleaning up a whole bunch of trees on our property that have been needing it for years, including a Japanese Maple that I had pruned incorrectly which cause a big hole, John did a great job in fixing it up. We were not home when they did the work, they were there all day, cleaned up everything, took such great care with all my little garden statues, bird baths, even got rid of a pumpkin that I had meant to clean out of the garden. I would highly recommend Z Tree, John really knows his trees, he is very friendly, tells you everything he will be doing, came back the next day to make sure we were happy, went over everything he did and made sure everything was done as we needed. We will be using them for all our tree needs. John was terrific. He gave me an immediate estimate when a massive tree fell down in my yard and took down a portion of my fence. He did the work immediately and even did a temporary repair on the fence until it could be permanently fixed. He was pleasant and professional and did a great job. I would absolutely call Z Tree Experts first in the future. John saved us in a pinch when another tree service company went missing on the day they were supposed to do the work for us. His service was excellent, his manner very professional, and promptness impeccable. Will definitely contract his services again. John takes great pride in his work and it is evident in the finished product. Nice team, a very thorough and fine job and excellent cleanup. Super happy ! Highly Recommended!!! I cannot say enough good things about John and the job Z Tree Experts did on my property. We needed a dead tree removed and another tree's branches trimmed away from the house. The job was well done and they cleaned up everything to the point that you would not have known they had even been there. Will definitely use them again! Professional service with no problems, as it should be. John and his company are the foremost experts in the area and beyond. If you don’t use them your doing yourself a disservice and taking a huge risk. I’ve used John for multiple homes and I reccomend him to all my clients if they need tree or landscape services. John and his crew did an incredible job removing two trees from my yard ! They were friendly, worked super quick and did a great job cleaning up everything when they were done. My yard looks beautiful !  I recommend using this company ! John and his crew are very efficient and hard workers. They removed two large trees and large branches from a third tree. They arrived on time and finished in a timely manner. I highly recommend John and his company for any tree service. Drone Recovery!!! Got my drone stuck in a very large tree and John came out on a Sunday to scale the tree and recover the drone!! Highly recommended! If you're looking for a great tree service in NJ - Z Tree Experts are great! John (the owner) is a great guy and will come provide a free estimate at a time that works for you - he provides very fair prices and don't be fooled by cheaper prices as those guys will most likely do more harm than good! Z Tree Experts are true quality professionals, let them take care of all your tree service needs. John was straight-forward and pleasant to work with. He provided advice and multiple options for dealing with my situation. The work was completed promptly and he ended up removing additional yard debris (not associated with his work) at no additional cost. John and his team came to my house in Rockaway New Jersey and did an outstanding job. The were extremely professional from start to finish. They took both trees down safely and cleaned up like nothing had even happened. John and the team came several times and gave us the best option for the services requested. They did an amazing job with cutting down branches of a tree that extended over my house and drive way. The team performed the job in a short time, and the pricing was on point. Couldn't have asked for a better job. Thank you for everything! Z Tree Experts did a great job cutting my overgrown hedges and removing an unwanted shrub. They came on time and made sure the job was done to my liking. Very good communication skills and high quality work done at a fair price. Strong recommendation. Very satisfied. John explained everything in detail and was very professional. Job well done in the worst weather conditions. Great price and went above and beyond our expectations. Highly recommend. John came out for an emergency on a Sunday and was quick, professional, efficient, and friendly. He was considerate of our neighbors and cleaned up quickly. We would recommend him highly! John was very knowledgeable and professional. My work involved very large trees in my backyard . He was very careful to protect the lawn bringing in his truck & equipment. When he was finished there was not a trace that he had worked there except for the perfectly trimmed trees. Definitely a class act. Would be glad to refer him to anyone. Great Service and Clean-up.. I recommend to anyone Z Tree Experts! John Z and his crew removed a large hickory that was sandwiched between a garage, a house, power and phone lines. He had to climb and cut down the tree in 1 foot sections and throw them over the power line. Great job and nothing got damaged. I had a giant ancient Maple that was getting out of hand. Branches without purpose, some rotting which I, as a layman, couldn't see. I called Z Tree Expercts because I saw them take down a difficult tree a few doors down from me. John did a great job sculpting the overgrown tree. He also advised taking too much off which I'm glad he did, because the tree looks perfect. He did all the climbing and cutting himself. I'd recommend you get his proposal for any tree work you need. John of Z Tree Experts is the consummate professional. He was prompt and attentive from our first conversation until the job was completed to my satisfaction. John took care of every detail, inclusive of obtaining the work permit, leaving the entire work area and surroundings clean of any debris and even text me photos of before and after, since I was not present when the tree was removed. Most of all, John's pricing for my tree removal was very fair. I would highly recommend Z Tree Experts to anyone, who wants the job done right. Great experience in every way. John was incredibly responsive, timely and efficient in his work. He did a beautiful job with the tree which was very difficult to maneuver around. The job was done perfectly and he cleaned up every single branch and piece of debris. I highly recommend John for the high quality of his work and the fair price he charged. This is very difficult and technical work with a multitude of equipment used for different purposes. Very impressed with the job done. Excellent, professional service. Very knowledgable on street tree care. Will definitely recommend for the Hoboken, Jersey City and Weehawken areas. John is professional, informed and considerate. We are quite new to the area; and hiring John to remove and replant trees was one of the best decisions we made as new residents of Essex County. He met with me for over an hour as a courtesy to discuss the trees, plants and grasses on our property and offered us several options in accordance to our plans for our new yard. More businesses should operate this efficiently. These guys are great. They showed up on short notice and are super pro! Very efficient - and impressively tidy - taking great care to make sure everything is clean. They even stacked the rounds so I can split firewood out of our newly felled oak. The expedient service allowed me to get my out building started before winter sets in. Thanks to Z Tree! I contacted Z Tree Experts to evaluate a Japanese Maple on my property that had extensive dead branches on it. Although, I had hoped to save the tree, John advised me that it was near the end of life span and it was best and more economical to remove it. So, we negotiated a very attractive price to have the work done and Z Tree Experts completed the job to my satisfaction.From the quoting stage to the finished project John and his team were punctual with appointments and were courteous, professional and respectful of my property. As well, they have the proper equipment to do the job and in the end all debre was removed to my satisfaction. It was a completely hand-off situation for me including securing a city permit for the tree removal.I am extremely satisfied with the service provided to me by John and his team and I recommend them highly. Awesome service. Gave me all my options and didn't overcharge. Did the job quickly and efficiently. You won't find better in the area! Z Tree Experts are the best! John is a professional and can be relied upon to do an excellent job. I have used them twice and highly recommend Z Tree Experts! John is professional, courteous, polite, dependable and got the job done quickly with no mess. I would highly recommend Tree Experts to anyone. John is an energetic go-getter who knows his trade well & puts customer satisfaction first. John & his crew work smart, neat & safe. I have had several tree companies over my 40 years of home ownership & find Z TREE EXPERTS the all around best. They know how to prune & save trees & when needed, how to remove them. John gives you a fair price & you won't have to clean-up or repair things when they are finished. You will be totally satisfied. They even blow your grass back straight again before they leave! My property always looks perfect after their visit. We are customers, not relatives and have not been compensated for this review. John was a pleasure to deal with on this project. The benefits of using Z Tree Experts are:- estimate and service were done on schedule- very good price for service- took down some additional branches for no extra charge- left property cleaner than when he arrived at site- John and his crew were very pleasant to deal with during projectI would highly recommend John to my neighbors in Glen Ridge. John is the best recommend him to anyone. He is reasonable, clean, efficient, and dependable. If you need someone to get the job done don't waste your time with no one else. Very nice and he explains the job and how he going to do it. CALL ZTREE EXPERTS NOW! I called John for an estimate on a 25Ft holly tree. He came promptly, explained what he will be cutting and offered his opinion on how much to cut off. He was personable and professional, something that seems to be dying off. John and his team arrived on the scheduled day, did EXACLTY what was discussed and left no mess or trace that he was there. He shaped the tree like artist and its looks great. price was comparable but it was the added value and personalization which will make me call him again for other services. We had John and his team out about a month ago and did a fantastic job. We had a very large tree taken down in our front yard, numerous trees trimmed on the side and another tree in the back yard taken down. When John came out for an estimate I was surprised when he peeled a little bark off a tree and showed me where it was split and not one solid trunk inside. With previous estimates I had, no one had taken the time to go over such detail. Since we wanted the front tree to have stump grinding he also touched up one we had from a prior service that we were not happy with. With all of the annoying town rules he did not hesitate to apply for the permit for us and called for the gas lines to be marked. While working they always had plywood down as to not damage my grass and cleaned up at the end of each day. At the end the yard looked great and was ready for grass seed. The team he works with does the job with detail as you would expect at a fair price. Tree removals are performed to eliminate dead and dying trees, as well as those that become hazardous and have been damaged in storms. Our customers also choose tree removal to gain more sunlight on their properties, make room for construction projects, and for aesthetic purposes. Tree maintenance is essential to keeping your trees healthy and beautiful as well as maintaining the overall value of your home or business in Northern NJ. Grading your property is a great way to increase the livable lawn or garden space in your back yard or office. Z Tree Experts has many years of experience and uses several safeguards and do not recommend tree stump removal or tree stump grinding as a DIY project. Our team will discuss the best options for stump removal with you based on your landscaping needs. Cabling can greatly increase the life and longevity of your tree and save you the cost of a full removal. If you love a tree on your property, but it may be becoming unsafe, removal isn’t always the only option! Pruning is important to the life and health of your trees. Whether you prefer to have seasonal maintenance to keep your residential or commercial properties beautiful, or you have dead or dying branches, a professional at Z Tree Experts is just a phone call away. Since the Emerald Ash Borer was first discovered in the United States in 2002, it has killed tens of millions of ash trees. Because a tree can die within two to four years from the initial infestation, prevention is the priority in at-risk areas in New Jersey and surrounding states. 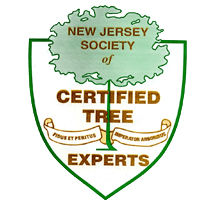 Z Tree Experts is a top choice when you need professional and reliable tree service in Clifton NJ and the surrounding area. Whether you’re interested in adding greenery to the landscape of your home or business, or you have problem trees which need to be removed, our expert tree service is the only one you’ll need. Why Choose Z Tree Experts?